Slowly but surely, it appears Amazon is losing the battle against collecting state sales tax on purchases made through its website. Massachusetts is the latest in a growing list of places where Amazon must charge sales tax on the goods it sells to in-state customers. The agreement between Amazon and state legislators took several months to cultivate, but won't take effect until November 1, 2013 -- so MA consumers are safe for now, but their days of tax-free purchases are numbered. Amazon has voiced in the past that it doesn't mind paying sales tax, as long as its major competitors do as well. Unfortunately for the e-tailer, it will be required to pay sales tax in MA while sites like Overstock.com fly under the radar. 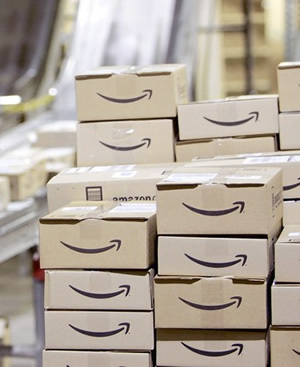 In no particular order, areas where Amazon must charge sales tax currently include Texas, California, New York, Kentucky, North Dakota, Pennsylvania, Texas, Washington and Kansas. Keep in mind sales tax only applies with certainty to purchases directly from Amazon and only by MA residents. Many products on Amazon are actually part of its "marketplace", which is comprised of third-party sellers doing business across many different locales. As is typical, these independent sellers are no obligated to charge sales tax if they don't physically operate in MA. The reason Amazon must collect sales tax in MA, amongst a particular list of certain other states, is because the company has a physical presence in those areas. This presence typically takes the form of order fulfillment and customer service centers. Amazon is headquartered in Seattle, Washington and recently invested $1 billion to purchase a new building in South Lake Union.